The Digby Stone team recently attended and sponsored the BMF all industry conference; hosted for the first time ever in Budapest. In a fast paced and ever changing environment, the UK construction industry is constantly faced with new opportunities and challenges. The BMF all industry conference aimed to provide an educational programme that would address the main issues being faced. The conference was bursting with keynote speakers from within the industry, as well as the greater business spectrum. This gave our team the opportunity to gain a wealth of knowledge, with which they could return and implement in the day-to-day running of the business. Budapest also provided networking opportunities allowing merchants and suppliers to discuss business and working together in the future. 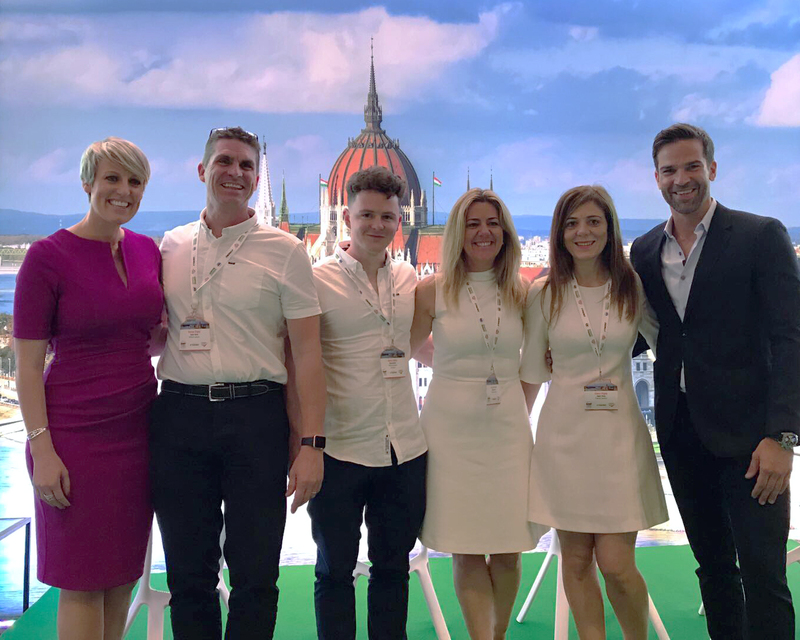 The Digby Stone team with conference host Gethin Jones and BBC news broadcaster Steph McGovern, an inspirational speaker at the conference. The weekend gave our team a fantastic opportunity to build new relationships and expand on existing ones. The team were able to further broadcast changes that are coming to Digby Stone, including the arrival of our new company director, Toby Stuart-Jervis (see our press release on our new director here). The conference focused on the topics of change, challenge and opportunity – three key topics which the company are faced with on a daily basis, meaning that the knowledge gained from the variety of speakers will become invaluable in the future.